Van Gogh created Starry Night in 1889 just thirteen months before his death when he was staying in an asylum at Saint-Remy. Starry Night is believed to show the view from his bedroom window. Van Gogh was a huge fan of nighttime and his passion for this was depicted in Starry Night and a number of other nocturnal canvases such as Starry Night over the Rhone and Café Terrace at Night. In the Starry Night painting van Gogh's night sky is brimming with energy and it contrasts with the silent village below. The town he depicts in Starry Night is somewhat invented and the church spire brings to mind his homeland, the Netherlands. Van Gogh includes a cypress tree which is usually found in cemeteries and associated with mourning. This tree serves to connect earth and sky and this could reflect the artist´s own thoughts about death - that death is the destination of life´s journey. With Starry Night Vincent van Gogh moves away from the traditional Impressionist connection with nature and instead adopts a feeling of agitation. His swirling brush strokes give the impression that this painting is constantly moving and his palette is much more vibrant than in earlier works. It´s thought that van Gogh was the first artist to paint these nocturnal scenes directly and it's reported that he stayed up three nights to finish the painting, stating that night was "more alive than the day." For van Gogh the Starry Night painting was a means of proving his worth as an artist and it was an opportunity to rival the work of artists such as Gauguin and Bernard. With its unique style Starry Night is a much-loved work of art that has been the focus of poetry, fiction and music, including the famous song "Vincent" or "Starry, Starry Night" by Don McLean. Van Goghs fascination with evening time and the night was immortalized in various works throughout his career. For him, nighttime was a time for creativity and it brought with it a feeling of security and comfort. However, van Gogh was aware that darkness could also conjure up feelings of loneliness and anguish. 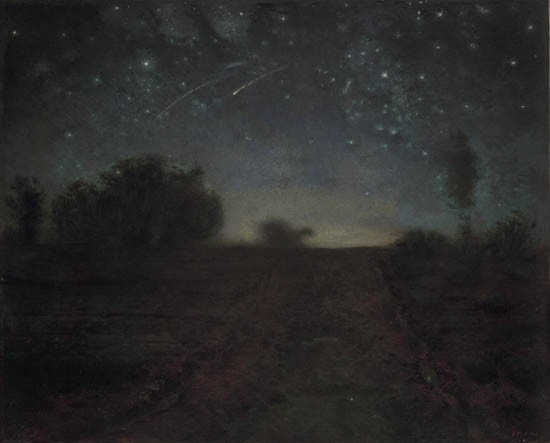 The theme of evening and nighttime landscapes was a popular one and it was heavily characterized within the Barbizon School that van Gogh liked and, in his early career, emulated. The artists attraction to the heavens and stars inspired some of his most famous paintings, including Cafe Terrace at Night and Starry Night over the Rhone. He was also a fan of the artificial lighting technique that started at this time. Van Gogh was a huge follower of Jean-Francois Millets work and the French artist painted a variety of nocturnal landscape paintings. The arrangement and lighting depicted in Millets own Nuit Etoilée (Starry Night) is reminiscent of van Gogh's version and its possible that van Gogh saw Millets painting in Paris between 1873-75. His love of Millets work was well-known and while in the asylum at Saint-Rémy, van Gogh produced 21 copies of Millet's works which shows not only his respect for the artist but also his own commitment to developing his individual technique. Van Gogh's Starry Night is considered his most famous work and it characterizes his individual technique. The night sky depicted in the Starry Night painting is brimming with whirling clouds, shining stars, and a bright crescent moon. These internal elements ensure fluidity and such contours were important for the artist even though they were becoming less significant for other Impressionists at this time. Van Gogh's use of white and yellow creates a spiral effect and draws attention to the sky. Vertical lines such as the cypress tree and church tower softly break up the composition without retracting from the powerful night sky. Van Gogh uses color to convey emotion. Van Gogh´s passion for nighttime is evident in Starry Night, where the powerful sky sits above the quiet town. It seems that van Gogh is contrasting life and death with luminous stars and a gloomy, peaceful village. In a letter to his brother, Theo, van Gogh refers to Leo Tolstoy´s book My Religion and its lack of belief in resurrection. His use of the word 'quiet' and reference to Tolstoy´s book indicates that the night sky made him feel calm and brought to mind eternity. In Starry Night Van Gogh´s unique, thick brushstrokes are very much evident and there is a consistency to his technique that adds even more depth and texture to this work of art. Starry Night is regarded as Vincent van Goghs greatest work of art and is one of the most reproduced images in Western art. Starry Night was produced in a time of modernity when scientists, writers, and artists were all pursuing new theories and ways of working. Artists were moving away from traditional methods of painting in search of new forms of expression and like his contemporaries, van Gogh was disregarding old techniques of painting accurate images. Despite van Goghs concerns about Starry Night, art critics regard it as one of the artists most significant works. Many believe that Starry Night is a reflection of van Goghs torment at this time. Its bold brush work and vivid colors contrasting with the dark tones of the night sky are believed to symbolize van Goghs frame of mind and his search for hope during a time of great illness. Other reviews refute the idea that van Gogh was mad or that his state of mind during his later years shaped Starry Night and other similar works. Such critics argue that van Gogh's illness stopped him from painting rather than inspired him. Thus, his paintings were a means of staying in touch with reality and were produced during moments of sanity. 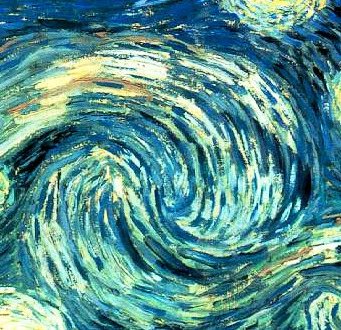 Starry Night is regarded by many critics as the painting created at the height of van Goghs career, and the best of his Saint-Rémy swirl canvases. Unlike his previous works, van Gogh created it from memory and not from reality. Many see this as a reflection of the influence of Gauguin in van Goghs work, where painting becomes more artificial and the palette is more distinct. Disregarding the Impressionist principle of truth to nature and opting for a feeling if restlessness and vibrant color resulted in van Goghs work becoming a benchmark for later Expressionist artwork. 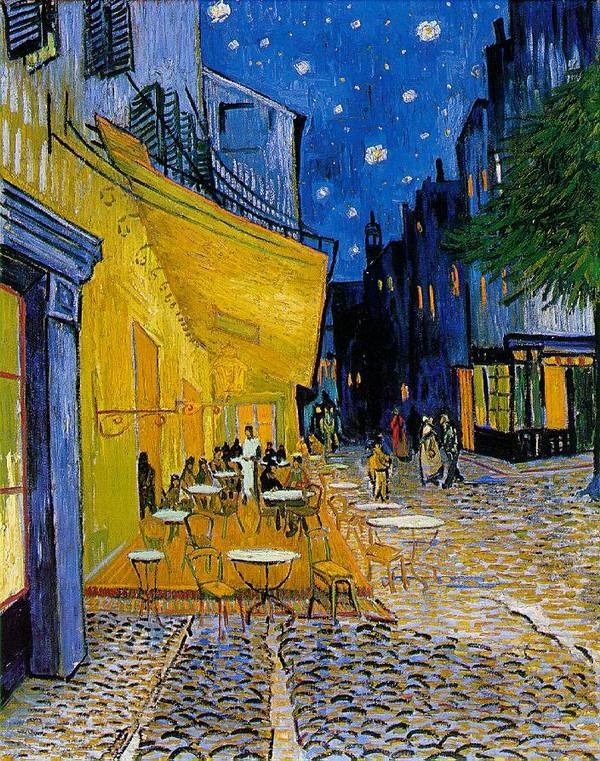 Van Goghs love of nighttime and the effects of light inspired him to create a number of nocturnal paintings including Café Terrace at Night and Starry Night Over the Rhone. Starry Night was created after both of these paintings. Van Gogh relished the challenge of painting at night and with Starry Night Over the Rhone he was able to capture the reflections of the gas lighting shimmering across the Rhone. Café Terrace at Night was first exhibited in 1892 and was entitled Coffeehouse, in the evening (Café, le soir). Today, it is also known as The Café Terrace on the Place du Forum. This canvas was the first in which the artist portrayed starry backgrounds and later that same month he created Starry Night Over the Rhone. A starlight background also features in van Goghs Portrait of Eugene Boch which he completed in September 1888. Boch was a painter and friend of van Gogh and this painting features in the first rendering of the Van Goghs house in Arles, hanging on the wall next to the portrait of Paul-Eugène Millet. Color was particularly significant in van Goghs work and in letters to his brother, Theo, he often talked about objects in his canvases in terms of color. His night paintings are evidence of the importance of capturing the luminous colors of the night sky and the artificial lighting that was emerging at this time. Cypresses was another painting related to Starry Night and both featured cypresses in the left foreground. 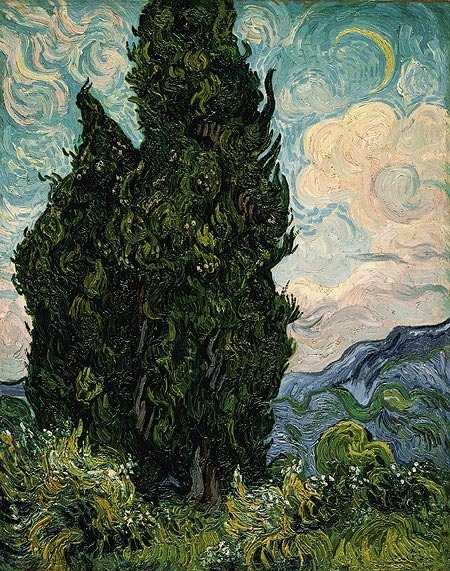 Van Gogh painted Cypresses in June 1889 not long after he arrived at the asylum in Saint-Rémy. He was mesmerized by cypress trees and found them a challenge to draw. He said: "It is a splash of black in a sunny landscape, but it is one of the most interesting black notes, and the most difficult to hit off exactly that I can imagine. " Van Gogh created three paintings in total featuring cypresses as the subject, though in Starry Night the cypress tree is a prominent element. 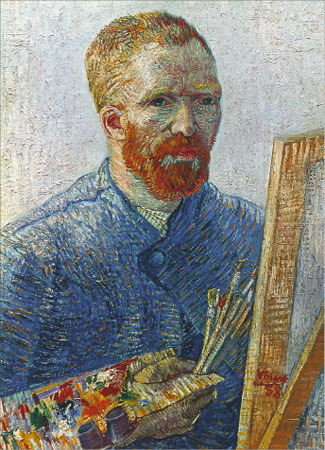 Vincent van Gogh (1853 - 1890) is now reputed to be one of the most valued and influential painters, and possibly the most renowned art figure of the 19th century. However, during his lifetime, van Gogh enjoyed little to no success or prestige, and he was able to sell only one single painting in his lifetime. A tortured genius throughout most of his life, he became a painter almost by chance, after failed attempts at becoming an art dealer, minister, and missionary. Vincent van Gogh was remarkably prolific, as he was prone to periods of almost manic productivity in between his severe bouts of depression. 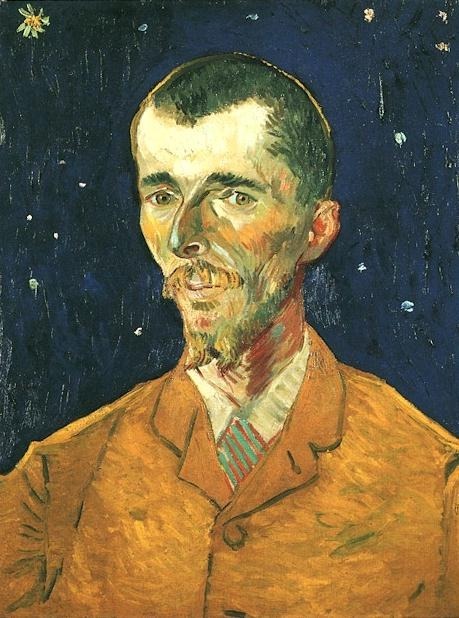 He painted "Starry Night" at the age of 36, while voluntarily committed at the Saint Paul asylum in Saint Rémy after one of his major mental breakdowns. Though it is now considered one of his masterpieces, records indicate that van Gogh was initially very disappointed in the quality of this painting. As his mental health progressively worsened, he died of a most likely self-inflicted gunshot barely 13 months after completing Starry Night, and three months after his release from Saint Paul. Vincent van Gogh's work is commonly regarded by critics as "Early Post-Impressionism. " 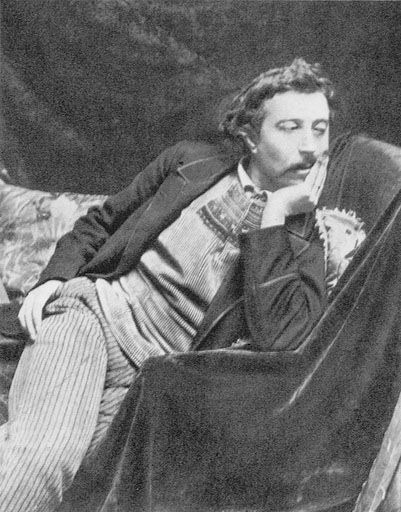 While in Paris, he made contact with the ideas and innovations of Paul Gauguin and Camille Pissarro. They wanted to breathe new life into Parisian salon art after the themes and techniques of Impressionism were declared repetitive and "limiting." 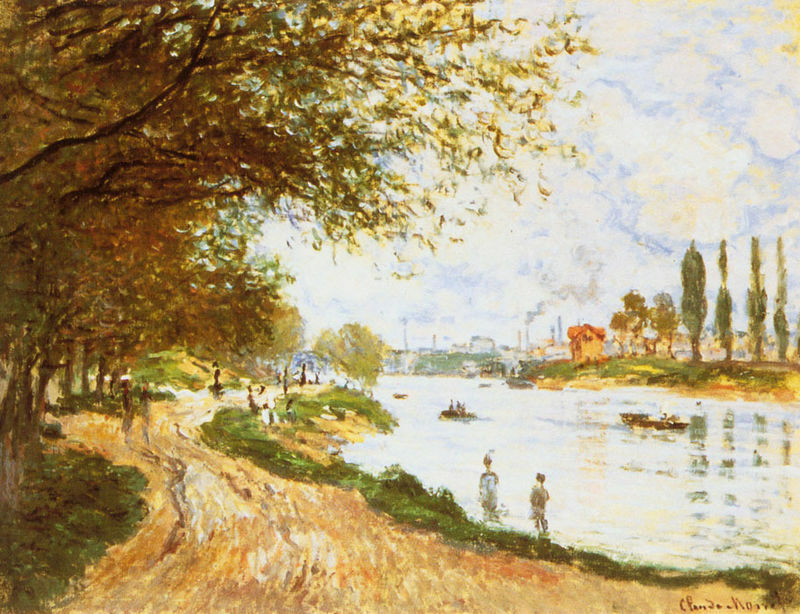 The early Post-Impressionists continued using vibrant colors, as well as painting in quick and thick strokes, but they also started to drift a bit further from the representation of reality: they began to choose arbitrary colors for certain objects, express more emotion in lines and shapes, and fuse together "exotic" influences, like Japanese art or Tahitian motifs. Known as his most famous work, Starry Night has been the focus of poetry, fiction and music. Many books have also been written about Van Gogh´s masterpiece and listed below is a selection of some recommended reading.